Having never met, Marla responded to my email request in December 2017 for a market evaluation of my Sechelt condominium while I was away overseas for an extended period of time. Her competitive evaluation and comprehensive marketing plan were promptly delivered, and stood out from those of two other realtors I had contacted. Marla’s expertise and local market knowledge were particularly helpful in determining the appropriate date to list my property, given current market conditions and the available inventory of similar properties on the Coast. When we did list on March 1st, I was delighted when Marla contacted me after just 6 hours with a full price offer! She did great work to negotiate the details of the purchase agreement that evening, and the deal was sealed, after which Marla continued to monitor the sale until its completion in mid-May. Throughout the process, I was very impressed with Marla’s professionalism, her knowledge of the Sunshine Coast real estate market, her positive, enthusiastic manner and her commitment to providing excellent service. I highly recommend that anyone looking to buy or sell real estate on the Sunshine Coast work with Marla Jensen as their agent of choice! Marla Jensen has been my realtor for several years. I met her by chance at one of her Open Houses, I was instantly impressed with her professionalism, enthusiasm and infectious positive attitude. Marla is one of the hardest working people I know, she goes far and beyond the call of duty! I have recommended Marla Jensen to others when their place is not selling, my most common statement is "If anyone can sell it Marla can!" and it happens. If you have the opportunity to hire Marla Jensen you will find it to be a wonderful experience. If there were a way to REALLY let you know how pleased we were with Marla's real estate agent services here on The Sunshine Coast, BC - we'd do it. Instead we have to settle for writing a letter of recommendation. When Marla represented us as buyers as well as when she listed (and SOLD) our house, she gave the utmost of her attention to our needs and to ensuring all the details were covered. We never felt left in the dark or on our own in any way. Buying and selling a home in the current market on the Coast, or specifically, in Gibsons, can be very stressful - we compounded that by making our home purchase "subject to the sale" of our previous home. And within a short time frame, Marla had all our loose ends dealt with and we were moving into our new dream home in Gibsons! She was never unreachable and even what must have seemed like the simplest of questions was met with a well-informed and cheerful response. I could go on but rest assured, if the only point I get across is how far above and beyond Marla Jensen is willing to go for her clients, then I've done my job. You can't go wrong choosing Marla to represent you in either the sale or purchase of your home on The Sunshine Coast. I just wanted to thank you for the excellent job you did selling my mothers home your professionalism is beyond reproach and is very refreshing in the business world today to see someone like yourselve with such exceptional work habits. I really appreciated the way you kept me informed of your progress and I think your company should count themselves privileged to have you representing them. 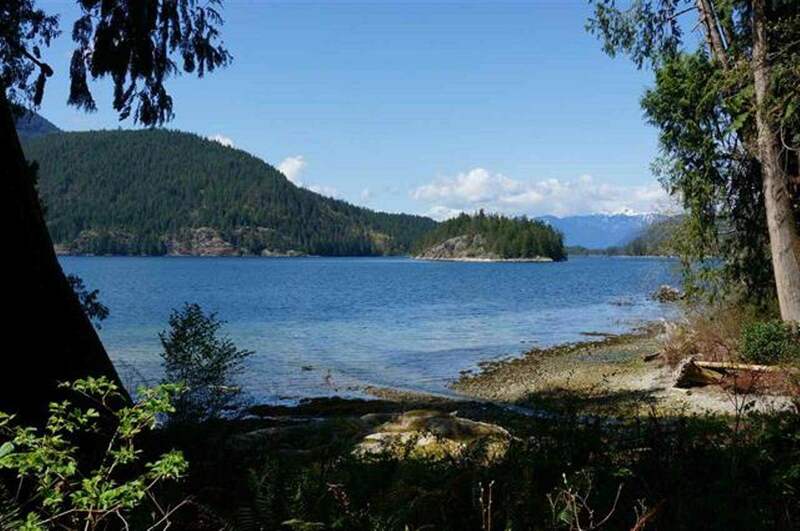 Again thank you for a job well done, and it goes without saying that I have no qualms about recommending you to anyone wanting to sell there home in Sechelt. After having three realtors give us appraisals on our home we selected Marla to be our listing agent. She had been recommended by a friend who was very happy with her level of service. We thought she gave us a realistic price range for our house and we were impressed with her level of knowledge and professionalism. Marla was there to answer any question we had and made sure she was at our home for all of the inspections the buyer required. Marla thank you for making the sale of our home and all the ensuing paperwork so painless. At the same time she worked tirelessly to find the perfect house for us to buy. Her attention to detail was second to none. We highly recommend Marla for her honesty, hard work, positive attitude and cheerfulness and believe she is the best realtor we have ever dealt with. I was most impressed with the excellent service I got from Marla Jensen, when she sold my property for me, and her great help in the purchase of another property, she was on top of things at all times, and most helpful to me as I am a pensioner. I recommended her to my sister, and in no time Marla found her a property and in fact she is now living in Gibsons. After interviewing a number of real estate agents, and finding that not all had our best interests at heart, we chose Marla because of her can do attitude, no pressure approach, spot on property evaluation, and sunshiny personality. We explained that we were not looking for a quick sale but the right sale. Marla took this to heart and the final price received exceeded our expectations. We couldn't have been happier. I can't imagine a more personal and professional realtor. Marla was so nice to deal with on a personal level but the icing on the cake was the level of effort she put in for us on the professional end of the experience. Marla was always available to us to answer any questions or anything related to the selling of our house. She had amazing pictures taken and promotional online video done to sell our house and when it came to the most important part of the house selling experience, closing the sale, she managed that brilliantly! I was extremely to have Marla Jensen work with me to purchase my first home and I am happy to recommend her. As I was initially unsure of what I wanted and Marla was alway patient with me and never pushy. She helped me find the perfect home at the right price, and since I've moved in she has continued to stay in touch and answer any questions that have arose. I found Marla to be concientious, helpful, and knowledgeable. Her good energy and sense of humor made what could have been a stressful venture relaxed and fun. Thanks again Marla, I look forward to working with you again. Keith and I really enjoyed working with you, me especially. You helped us find the perfect house for our needs, which of course were more than the average homebuyer as we wanted a place to both live and work. At times we still can't believe we have acquired such a gem. We had the pleasure of working with Marla when we started looking for a small vacation home. After having left a few messages with other realtors about properties we were interested in, and not getting any response, we contacted Marla because of one of her listings and met her at her open house. Marla had set up 8 places for us to look at that day which was great considering we were from out of town and only in town for the day. There were so many things we liked about dealing with Marla where do we start, she is extremely professional, and really listened to what we wanted. Somehow she knew what would work for us even before we did! The 6th house she showed us was perfect. Not only did she stay within our budget, she managed to help negotiate a great deal since the property was on the market for over 6 months. Marla even did her homework and found the property was listed incorrectly as esplanade and managed to save us a lot of money. Thank you Marla, we are extremely happy in our new house and it was a such a great experience working with you and hopefully we can work together again soon, too bad you don't work in Vancouver! You Rock girl! Working with Marla was an excellent experience for me and I fully recommend her to anyone looking for an agent. She helped me find a home on my unique terms and was accommodating in every sense. She is courteous, knowledgeable and very professional, but without pretense and comes with a great sense of humour to take the edge off of difficult decisions one has to make in buying and selling a home. May she work wonders for you too!